Dillicious is a bright and flavorful blend of onion, garlic, salt, parsley, black pepper and dill weed. Fantastic on veggies, fish, chicken or as a dip and salad dressing. See the product info on website for a great ranch dressing recipe! 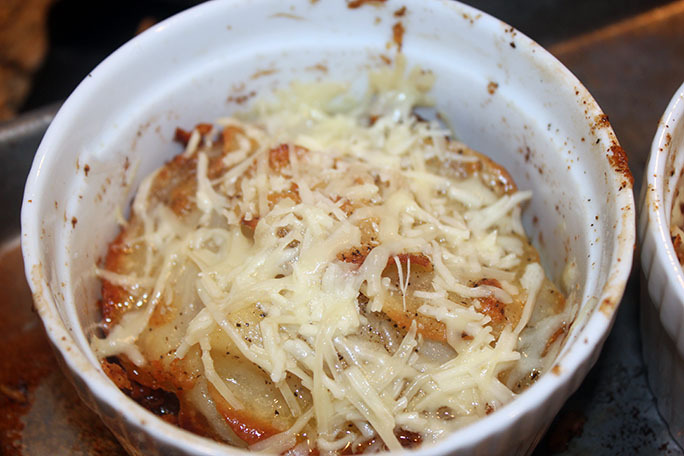 This potato dish is great with anything that you would serve potatoes with. It is crispy and crunchy on the outside, soft and wonderful on the inside. 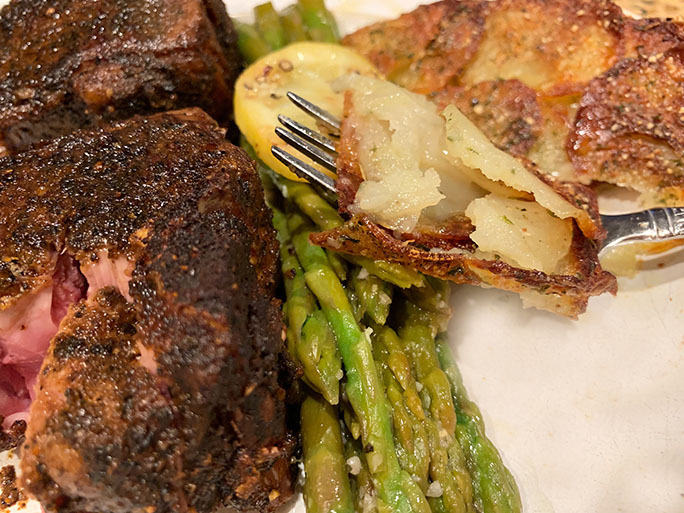 I served with Sous Vide Lamb Chops and Asparagus. I highly recommend using a cast iron skillet for this dish. The heat generated creates such a wonderful crust! You can use a large one or a couple (or more) small ones. It is kind of fun for everyone to get a mini Pommes Anna each! 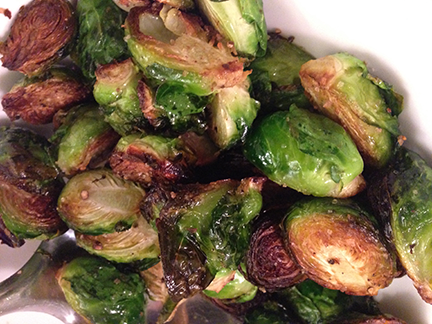 A lovely glass of Petite Sirah pairs beautifully with this dish. 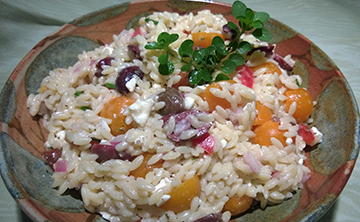 This recipe is my mom's Rice Dressing and it's a great side dish. She would make a strong tasting homemade Chicken Broth for this recipe. There is lots of chicken fat that adds a smooth richness to this dish. 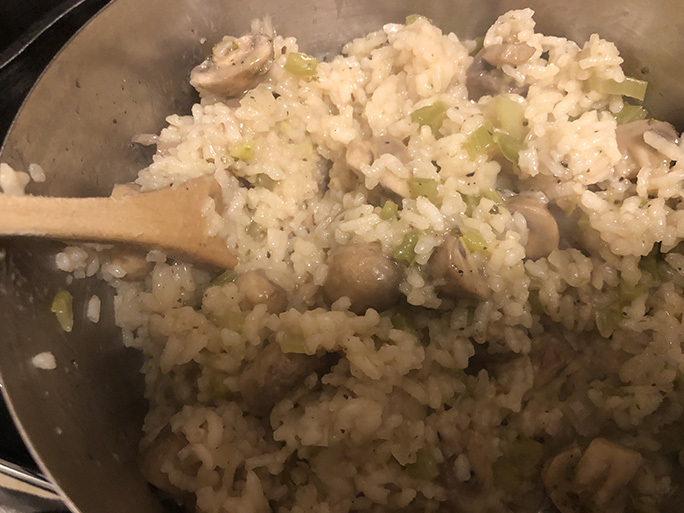 I changed the rice from a standard rice to Arborio. It is great with Baked Chicken or Pork Roast. You can use the leftover rice by making rice balls or patties with Panko bread crumbs the next day. Mediterranean food always tastes so fresh and healthy! This chopped salad is no exception. 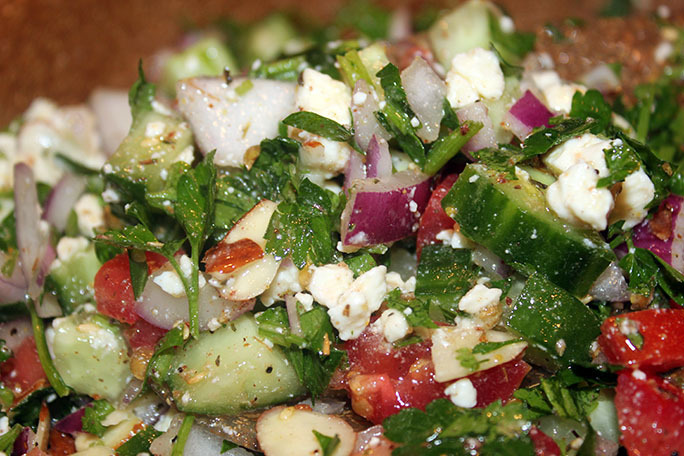 Luscious cucumber, tomato, red onion, feta cheese, parsley mixed with Zahtar, lemon juice and olive oil. So delicious. My kiddos adore this. Great for a quick meal on its own or serve with Sumac-Sheet Pan Chicken. Zahtar is a middle-eastern/mediterranean spice mix that is hand blended from sesame seeds, coriander, sumac, thyme, cumin and black pepper. This is fantastic on chicken, fish, vegetables, bread and dips (mix with Feta cheese and olive oil for a great dip with pita chips). We enjoyed a cold glass of chablis with this salad. The Instant Pot has to be one of the greatest inventions ever! I was always leery of using the old fashioned pressure cookers, this new one is so easy! 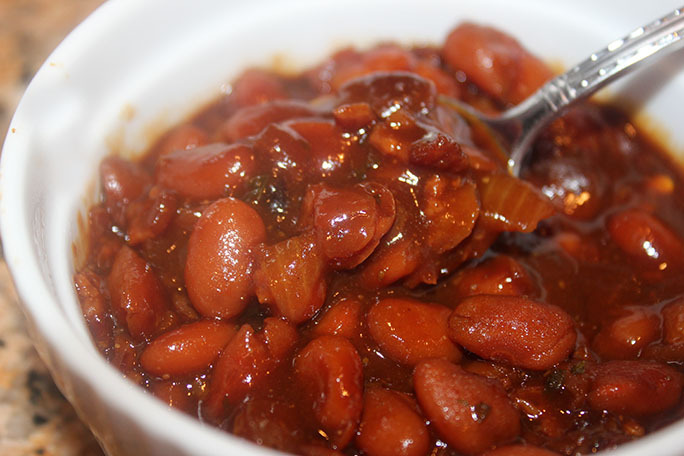 Baked Beans is a family favorite, and I wanted to try making it in the new pot. The end results were better than I could have imagined! Of course it didn’t hurt to use a newer spice blend from MSC called Louisiana Red Beans & Rice. This is hand blended using onion, garlic, parsley, celery, cumin, cayenne, bay leaf and red pepper flakes. Also great on sautéed cauliflower rice, black soy beans and as a salad dressing. 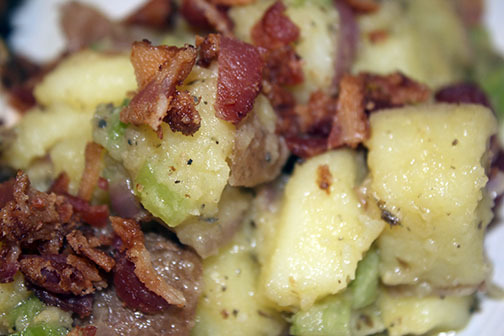 We are eating healthier, so I chose a nitrate/nitrite free uncured bacon for this dish. Or you can choose a vegan/keto option as well. A ice cold beer is a perfect compliment to this dish. Johnny Pizza is another spice blend that is extremely versatile. It is hand blended with Mediterranean oregano, basil, garlic, onion, thyme, fennel seed, red bell pepper, crushed red pepper, parsley and marjoram. 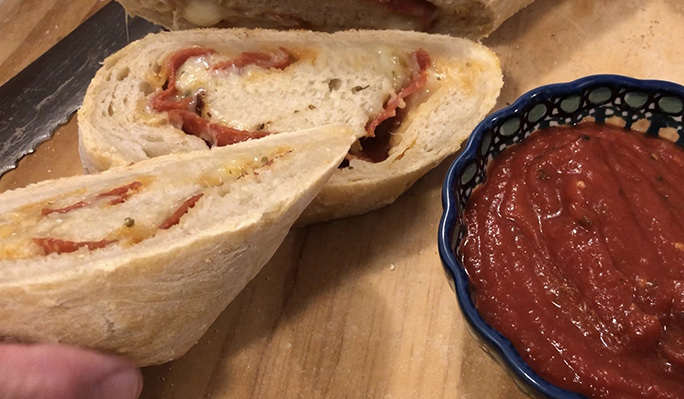 It is great to sprinkle on a pre-made pizza, fantastic in a sauce, or my personal favorite—bake it into a homemade pizza crust. So good! Today I decided to make an Italian Baked Rice. Added lots of veggies, this is so easy and very flavorful. 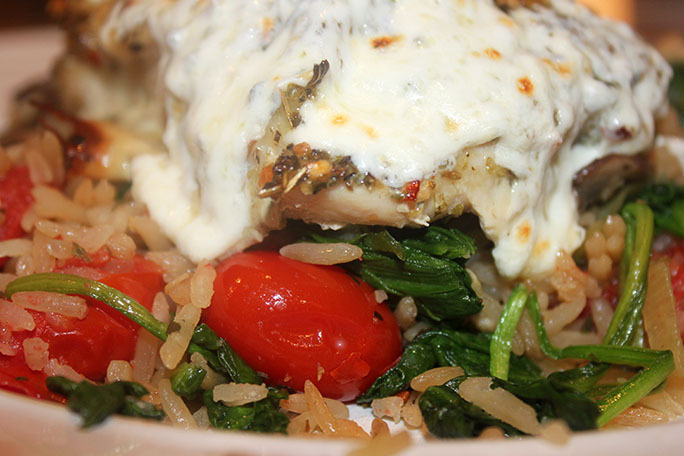 I served this with a Baked Chicken also seasoned with Johnny Pizza and finished with some fresh mozzarella cheese. A glass of Chianti was delightful with this meal. 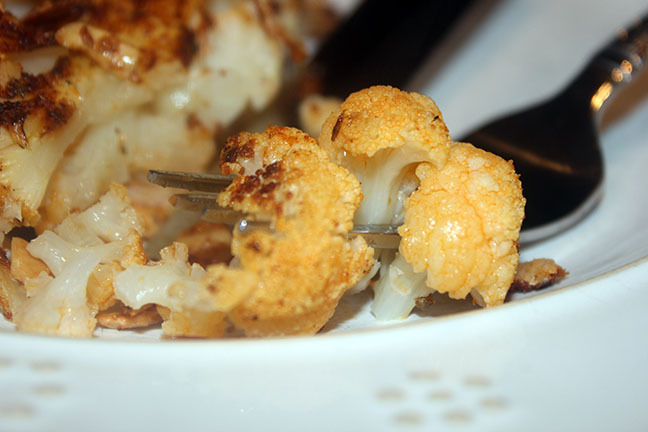 It seems that anything Cauliflower these days is in vogue! Low carb, low calorie and very nutritious not to mention great flavor and texture. What's not to love? I've been wanting to try cauliflower steaks for quite a while. One of the the newer spice blends that I've purchased is Garden Glory. There is a touch of molasses which helps coax out the carmelization. It is hand blended from garlic, salt, paprika, onion, black pepper, thyme, red bell pepper, molasses, oregano, serrano and vinegar. It is fantastic on roasted root veggies like sweet potatoes and onions. This also makes a great vinaigrette! Click here for more info on that. This recipe could not be any easier! You can also try grilling these! A glass of Chardonnay went very well with this meal. 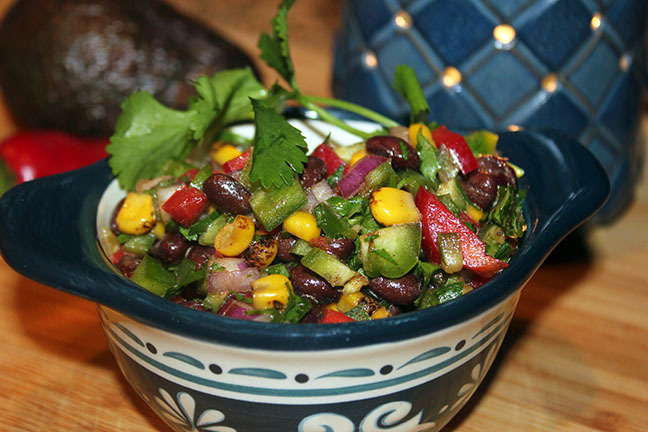 This is great side dish to go with just about any southwestern dish. It is a salsa/salad. You can use it to top a dish as a salsa, or serve as a salad on the side. It stores well in fridge so it lasts for several days. You can add tomatoes, but then it would be best eaten right away. Tomatoes deteriorate very rapidly in fridge, refrigeration damages the membranes in the tomato and causes it to taste gritty and mealy. Taco Tuesday is such a wonderful blend of chili powder, domestic paprika, granulated onion, cumin, granulated garlic, Mexican oregano, brown sugar, black pepper medium, and cayenne pepper. It is fantastic in just about any southeastern recipe. A glass of chilled Chardonnay is great with this meal. 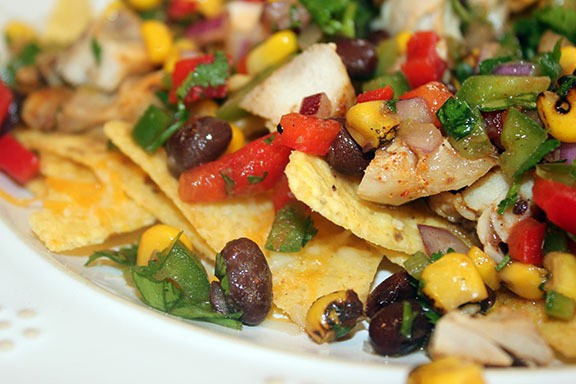 I used some leftover Black Bean & Corn Salad to top a plate of Nacho's for lunch the next day. So yummy! Potatoes are a great side dish, but they can get a little boring. 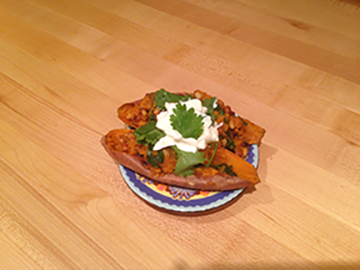 Here is a flavorful and fun new take on individual servings of baked potato stacks. The caramelized crunch of this side dish makes it a perfect pairing with a steak. I used Ravensview Rosemary Garlic to complement my potatoes. This is hand blended with sea salt, black pepper, garlic, onion, chives and rosemary. Perfect for potatoes, amazing on lamb and other meats. Click recipe title to see recipe. Click here to see a printer friendly version of this recipe. Today I wanted to try something new and different. Potatoes can be a little bland so I kicked it up a notch! I used Milford's Mexican Blast to season the potatoes that added such an amazing favor. Mexican Blast is a delicious blend of chile peppers, garlic, onion, cumin, Mexican oregano and other spices. Adding the poblano peppers made the dish colorful and taste fantastic! Mexican Crema is available at regular grocery stores and is richer that regular cream. I paired this with Grilled Mexican Blast Carne Asada. Really delicious! Perfect rice every time! So easy! I read about baking the rice instead and so I gave it a shot. It is amazingly easy and turns out perfect every time. 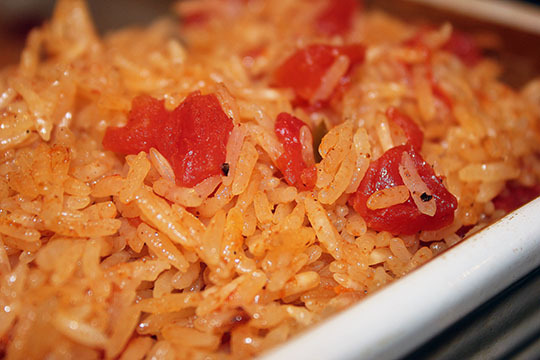 You can use chicken broth, beef broth, veggie broth, tomato juice or other cooking liquid to flavor your rice. Today I used Taco Tuesday and a can of Rotel Tomatoes to flavor my rice. You can use almost any spice blend as a great base for flavors, your imagination is the limit! Click on recipe title to see recipe! Click here to see printable recipe! Condiments can make or break a great dish! I discovered Lena’s Perfect Pickles Pack and decided to have some fun with it. 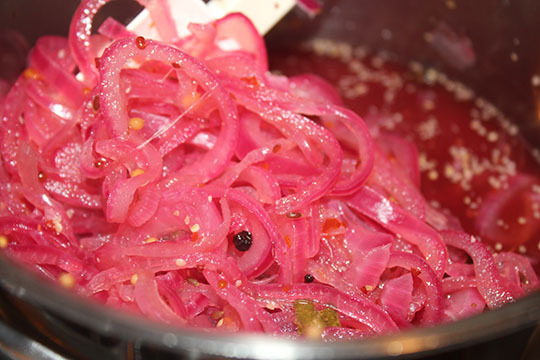 I really enjoy onions, especially pickled onions. This is a quick and easy recipe and it will last in your fridge for about a week to ten days. Try it on sandwiches, burgers and salads. I made this to go with my Greek Lamb Burger. Click here to see that recipe. 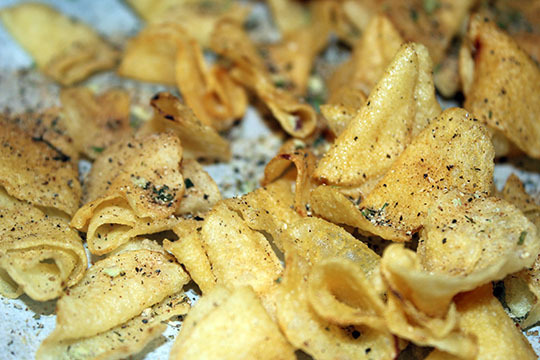 Potato chip are a terrific side dish to soo many meals. They can get more than a little boring though! Here is a really quick tip to give you the tasty flavored variety except you make it, so you know how it is spiced. No chemicals here! A potato chip is a blank palette. You can literally use any spice blend that your taste buds desire. For this example I used It’s All Greek to Me. Fantastic! 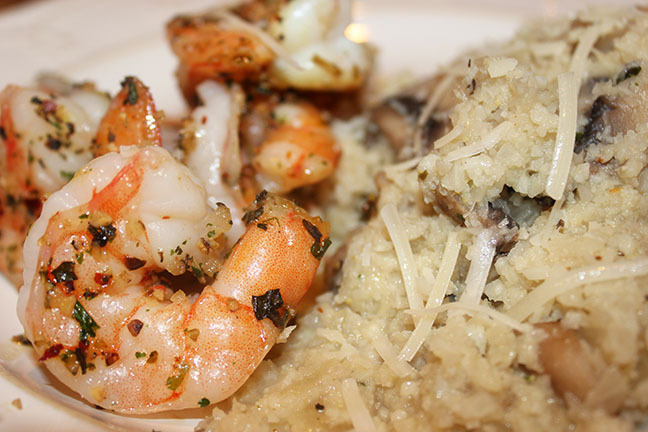 Polenta is such a fantastic and easy side dish. You can use different spices and cheeses to complement whatever main course you desire! Today I decided to try a Chipotle southwestern twist. MSC Cha Cha Cha Chipotle is rich and smokey in flavor and not spicy. Really delish! 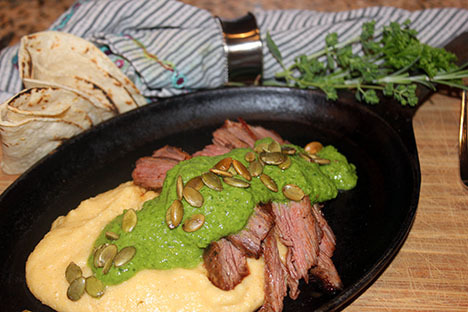 I served this with a Honey Chipotle spices flank steak, click here to see that recipe. This is quick, easy and so good! Today is a perfect spring day! So warm and everything in starting to grow and bloom. Definitely put me in the mood for some summer grilling! What goes better with grilled chicken than a potato salad! I have really enjoyed the Fish Delish seasoning all winter and decided to try a potato salad dressing using the suggestion on the spice description. It was so flavorful! Yum! My family loved it hope your does too! We enjoyed a Snapshot beer with this meal! To see recipe click on recipe title! 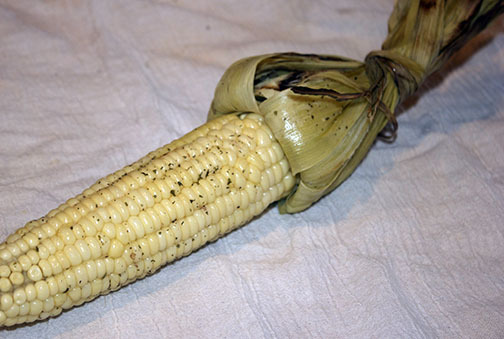 Fresh Corn on the Cob is so wonderful! I like to grill them in their husks with a little butter and Wordhouse Wow Herb blend. Soo good! 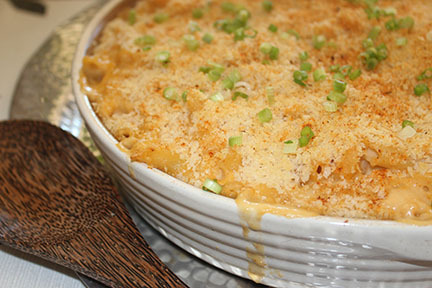 My children adore Mac’n’Cheese. 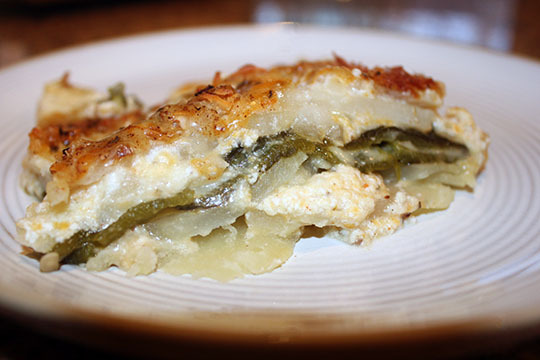 This recipe is a delicious twist on an old favorite! The Taco Tuesday adds a wonderful south of the border taste and the Panko breadcrumbs a crisp topping. Great combination! Equally good on a cold or hot day! Quick and easy! A glass of Chardonnay is really tasty with this meal! Click recipe title to see recipe! 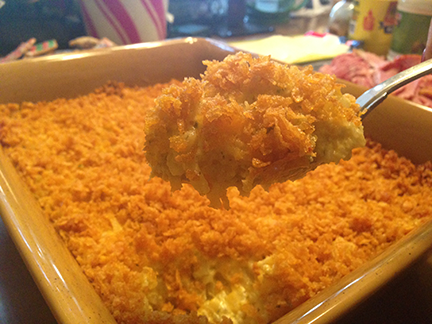 It’s a well-known fact that cheesy potatoes can vary from family to family. There is always a debate as to the topping and the contents. 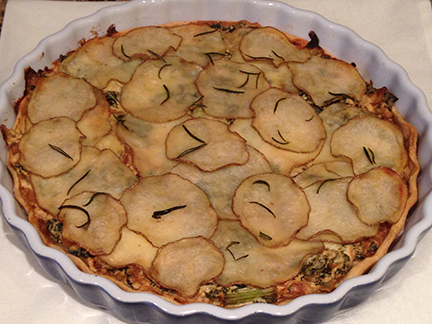 My recipe uses a topping with corn flakes and others will disagree and insist on using potato chips. 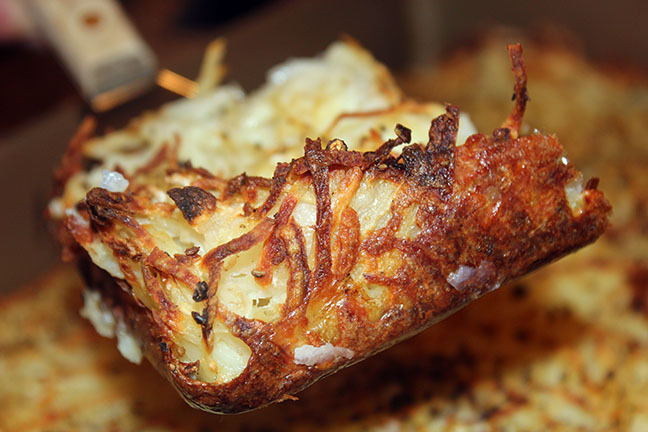 Mine also features the shredded Ore-Ida potatoes while many will argue they prefer the cubed frozen potatoes. All I know is I tried this recipe in 1979 and will swear that my recipe is by far the best you’ll ever eat. I have made this countless times. I have tasted many a variety of cheesy potatoes at potlucks and have never found one I like better. With that being said, let me also mention a recent addition to the long-time recipe—Milford Spice Company’s Awesome Onion Soup (which isn’t a soup, but a spice blend).